Battles. Massacres. Murders and assassinations. Beheadings and hangings. Fire and plague. Religious strife and clan enmities. Urban warfare and suicide squads. Pirates and riots. Bodysnatching and heads on spikes. Gunpowder plots. Sea battles inside Leith harbour. Witchcraft burnings on Castlehill. Breaking on the wheel. Drowning alive in a coffin in the Nor’ Loch. 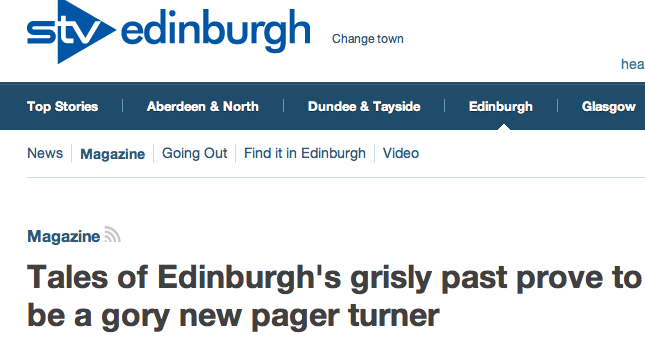 Edinburgh hasn’t always been the Light in the North. Its past is a blood-splattered horrorshow of dark deeds, and on Tuesday 6 November I’ll be launching my new book The Bloody History of Scotland: Edinburgh with an illustrated talk at the famous Blackwells Bookshop on South Bridge, Edinburgh. This saunter through the sanguinary excesses of the city’s unsavoury history will cover everything from brothel creepers to the location of a cannibal’s oven – not to mention a mysterious medieval knight who turned out to be a woman. 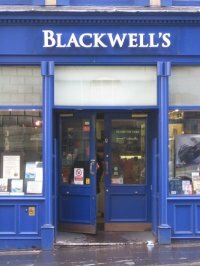 This entry was posted in Talks and Events and tagged blackwells bookshop, bloody history of edinburgh, edinburgh, geoff holder on 04/11/2012 by Jamie Cook. This week there’s a long piece on The Bloody History of Scotland: Edinburgh on STV’s online magazine. Poisoning, murderous madams and ghastly torture and punishment all feature, adding greatly to the gaiety of nations. Don’t forget I’m giving an illustrated talk based on the book at Blackwell’s Bookshop on South Bridge on 6th November. This entry was posted in Messages from Geoff and tagged bloody history of edinburgh, geoff holder, interview, review, stv on 18/10/2012 by Jamie Cook. There was a feature on Bloody History of Scotland: Edinburgh in the Edinburgh Evening News on Saturday 13 October. 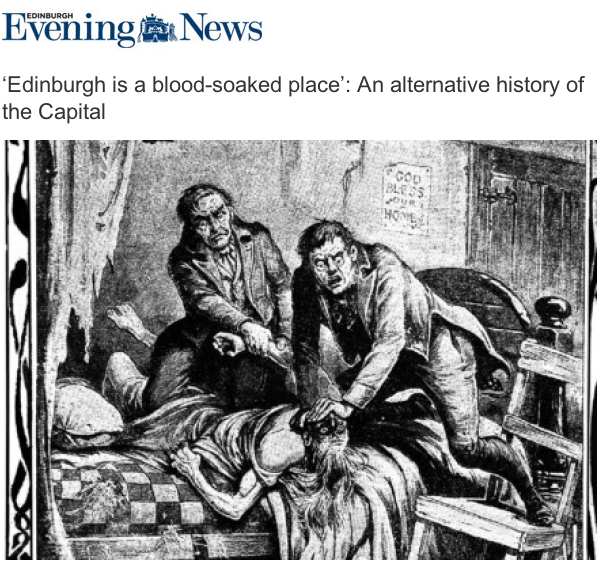 Entitled “‘Edinburgh is a blood-soaked place’: An alternative history of the Capital,” the piece covered topics such as public executions, heads on spikes and the cannibal Earl of Dunlanrig, and also included an interview with the humble author in which I actually manage to sound semi-coherent. This entry was posted in Book releases, Promotional and tagged bloody history of edinburgh, bloody scotland, burke and hare, edinburgh evening news, geoff holder, Murder on 16/10/2012 by Jamie Cook.